Home / Business / COL / EN / MEB Corporation / startup / “COL” announces its readiness to move toward the Omni-Logistic Channel, introducing new Start-up business “MEB Corporation” as Thailand’s leading E-book marketplace following its strong business growth. 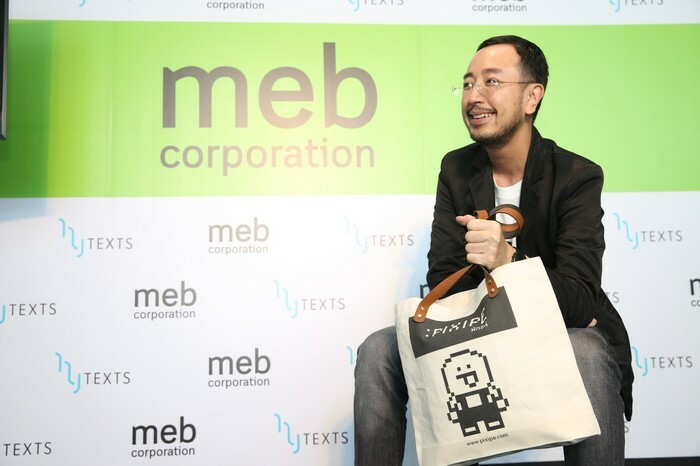 “COL” announces its readiness to move toward the Omni-Logistic Channel, introducing new Start-up business “MEB Corporation” as Thailand’s leading E-book marketplace following its strong business growth. 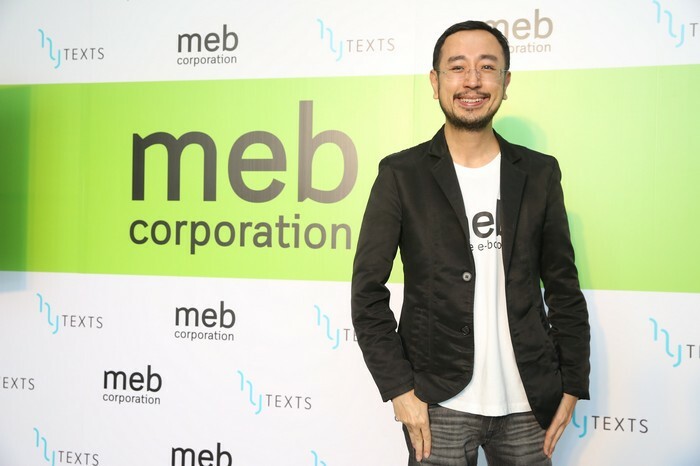 Meanwhile, MEB has announced its corporation with Hytexts.com – an E-book store to corporation upgrade e-book application for facilitating readers, while MEB has also announced its launching of new business “PIXIPE” – creative marketplace providing space for creator and designers to create their idea and become owner of business with no need to seek for source of fund. 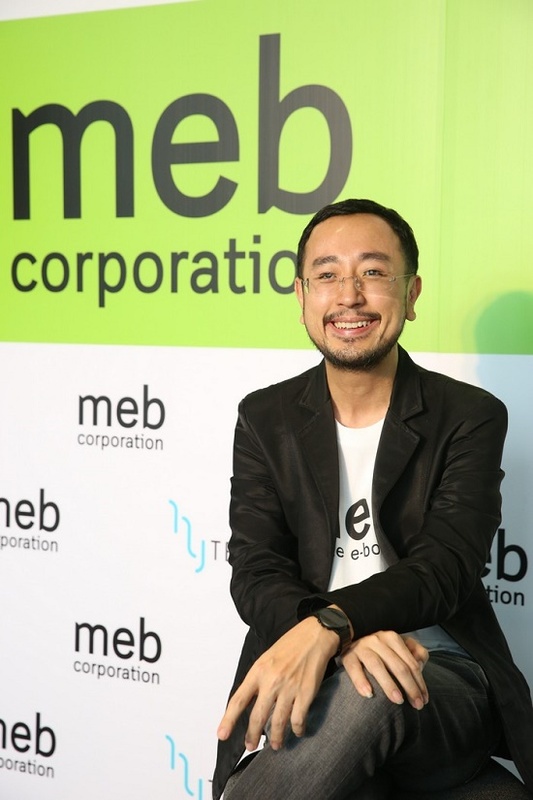 With many strategies to encourage the new business growth, MEB is confident to achieve the gross merchandise value (Meb+PIXIPE) of 400 million Baht by the end of this year. Mr. Worawoot Ounjai, Chief Executive Officer of COL Public Company Limited, revealed about the COL’s marketing strategies and its subsidiaries for the final quarter of the year throughout next year that the company will concentrate on the Omni Channel – a cross channel business model that company uses to improve customers experience with seamless patterns as today online business has played an important role and become a part of retail business, whereas consumers has also increased their attention to online channel, which is in the same direction around the global. Hence, as one of leading retailers, COL is prompted to be leader in integrated omni channel in current. We has started to penetrate E-market by establishing MEB Corporation CO., Ltd for doing “E-book” business and launch the ‘Meb’application to sell e-book since six years ago. Nowadays, Meb has grown up strongly to become a potential Start-up in accordance to the rising trend of online business worldwide. 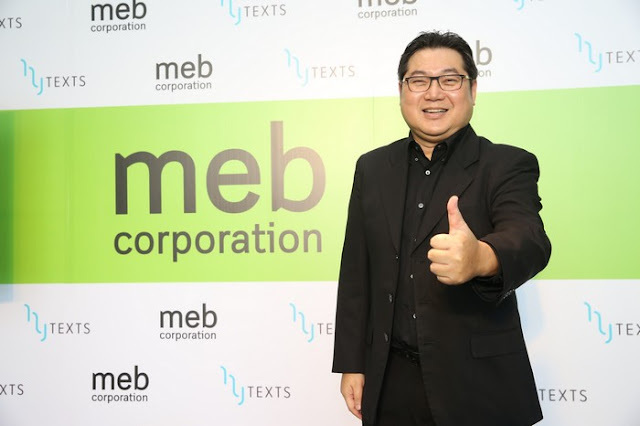 From the company’s strategies, COL is confident that sale of the company will grow strongly averaging by 10 percent from the current year 12 billion Baht to 13 billion Baht in 2018, which was grown strongly from online businesses including MEB Corporation. However, the company’s major sales have still contributed from our two major businesses,OfficeMate and B2S, which need to be more aggressive in penetrating international market and online channel, under the onmi strategy, Mr. Worawoot added. Mr. Ravivon Mahasith, Managing Director of MEB Corporation Co.,Ltd., said since Meb has been established six years ago in 2011, sale of the company has grown significantly every year in line with the emerging growth of online market, which nowadays people are turning to do business online, shopping, and even read a book online. Consequence,MEB Corporation Co.,Ltd, which is owned “Meb” – a Thai E-book store and one of the pioneers of E-book marketplace and E-book application, could achieve highest sale value among other e-book providers with strong growth since the establishment until today. 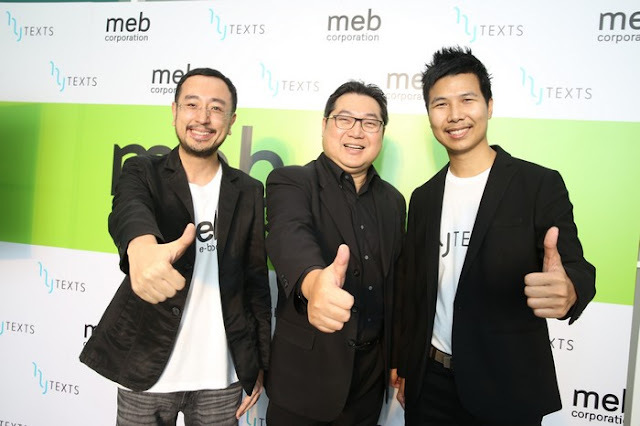 Meb now become potential Start-up in Thailand market, while Meb is also achieving the number one sale in ‘Book’ category of App Store in Thailand for two consecutive years and more than 34 countries worldwide such as in Australia, Austria, Belgium, Germany, Finland, Italy, Hong Kong, and Switzerland. Last year, the company achieved sales of 275 million Baht. With strong trend of the online business growing, the company has confident that our business will continue to grow strongly and will reach a Gross Merchandise Value (GMV) of 400 million Baht this year. Mr. Ravivon revealed factors that help drive the growth of Meb are including the growth of the online market as the E-book market in Thailand still has plenty of room to grow. Readers are shifting to online reading on smartphones, tablets, or electronic devices as E-book is convenience, fast, and easy to access. Now, there are comprehensive payment methods which are not limited to credit cards, but also included debit card, money transfer channel, and payment via counter service. Moreover, there is also a continuous development of the system that can support the use of readers of all ages and genders, as well as with the continuously development of applications and technology, we are confident that the E-book business will grow steadily average by 20 percent per year. Additionally, Meb is an E-book center gathering all types of book in our E-store in order to serve various demand of readers. 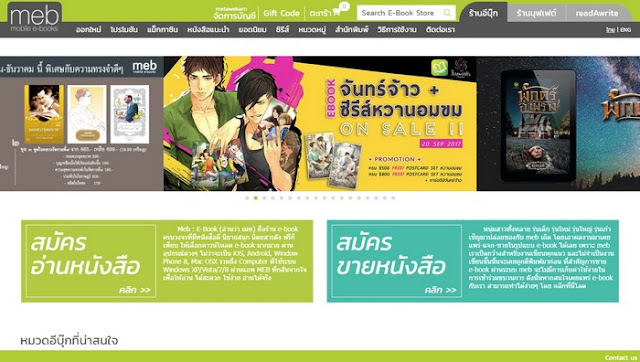 Meb has also gathered works from a wide range of publishers covering more than 70-80 percent of all the publishers in Thailand, while also gathered the works of novelists in the past and in present to our store. So far, we have over 60,000 books available for selling online. Within the end of this year, we are expected to have more than 70,000books with us, and in the next three years or within 2020, we are expected to have more than 100,000 online books available for sale in our application. Meb has also foreseen an opportunity to expand the customers based from current, which are in the age between 20-40 year-old. However, it is predicted that age of E-book readers will be variable to childhood until adulthood or age under 20 years old and over 50 years old. 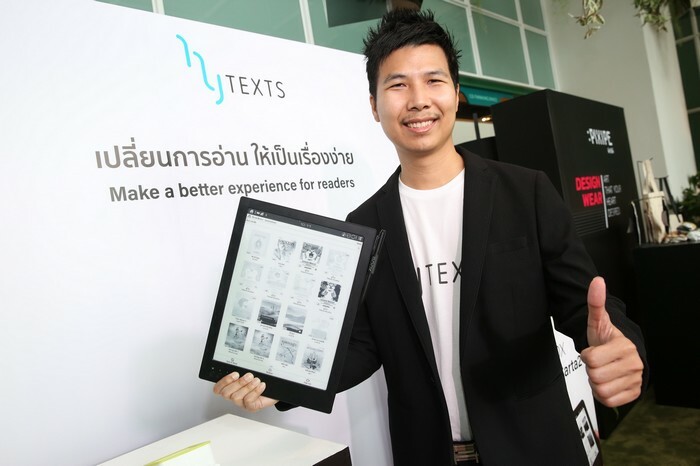 In order to respond to the readers demand to enjoy seamless E-book reading experience, MEB Corporation will join hands with Hytexts.com in collaborating to develop application E-reader to facilitate E-readers in all dimensions. We will develop to serve readers to have better reading experience on E-book with PDF file and ePub, which are readable on smartphone and tablets through IOS, Android, PC or Mac. Moreover, readers can also choose fonts, size, color, background, and zoom automatically, while this e-reader will also protect the reader's eyes. 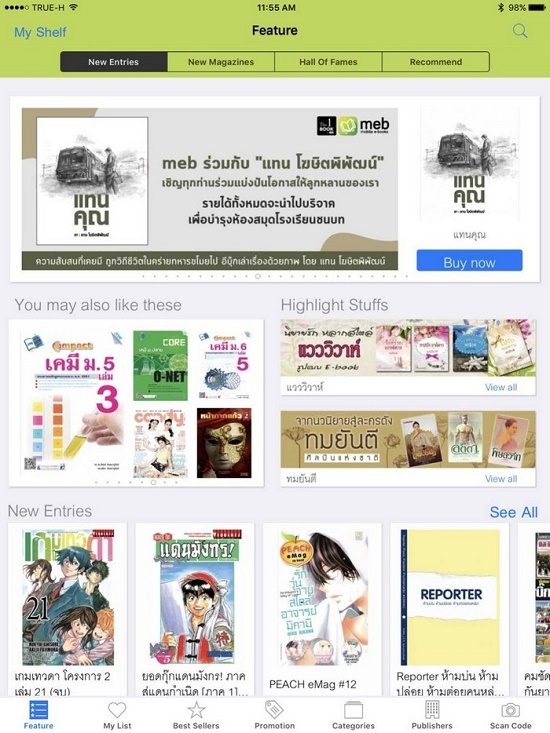 Mr. Ravivon said that the collaboration with Hytexts.com will be other important steps to promote Meb as the number one E-book application in Thailand, and able to access more readers. As same as Meb, Hytexts.com will also be able to reach more customers by offering a wide selection of books that cater to the readers demand. Moreover, Meb will not stop to become the leader on cyber world. The company has ready to announce its new business unit “PIXIPE”- A Creative Market Place. PIXIPE is a new business which comes under the website platform to open opportunities for creators and designers to show their idea and imagination, and then turn those idea to become a product for selling online. 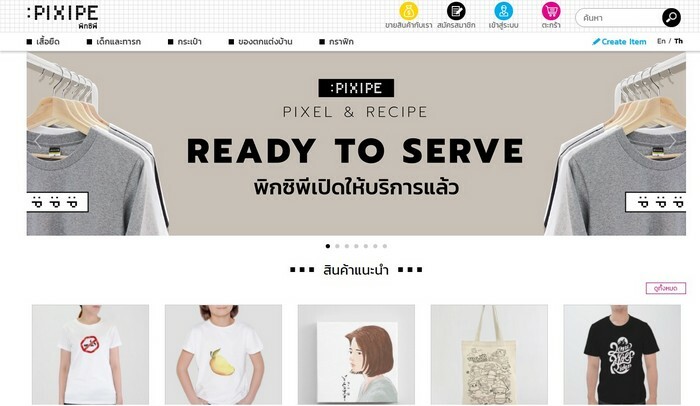 PIXIPE will help designer or creator to develop their artworks to become commercial products. Hence, creators or designer do not have to seek for their investment capital to do their own business, but PIXIPE will responsible for all business transaction, including delivery process. Designers or creators of those artworks, who can successfully turn their works for commercialisation will get their return in a form of share from each item selling online. “This new business unit group is known to be a great assistant to creators-designers as they can do what they love. If they have idea or imagination, they can turn it into business with no need to invest your own assets or have any business risks. They just post their idea with PIXIPE and we will manage everything about the business for them, while creator or designer will also get fair return, which will encourage creator and designer to continue to create new ideas to the public," Ravivon said. PIXIPE has launched since 3 months ago, and has been well- received by both designers and creators to share their idea for creating products for commercialization. 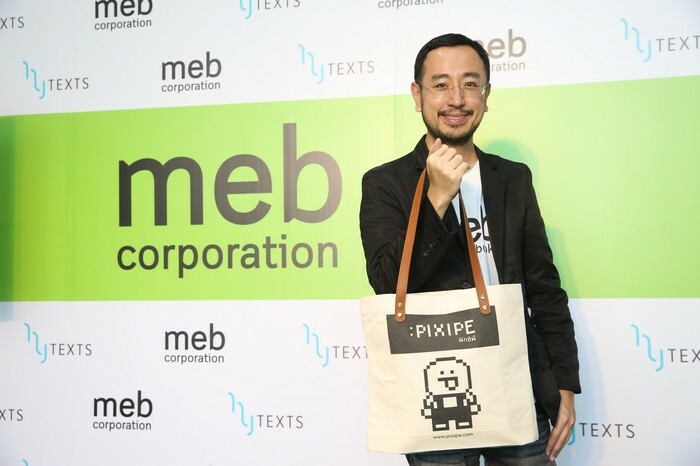 PIXIPE become one of new hope for Start-up enterprises. Currently, more than 200 creators - designers are become our members to share their idea with us, while more than 5,000 items such as clothes, bags, pillows, home furnishings, fashion items and lifestyle items are available for sale on our website. Mr. Worawoot said that with COL’s intention to penetrate online market for more than a decade to become part of the online business expertise and also one of the first leading companies, which has adopted omni-channel to Thailand, we are confident that Meb will be a strong Start-up and grow sustainably, while will also be able to lead PIXIPE – creative market place as well as our partner Hytexts.com to grow continuously in the final quarter of this year and next year in accordance with our strategies to focus on integrated omni-channel and omni-logistic.